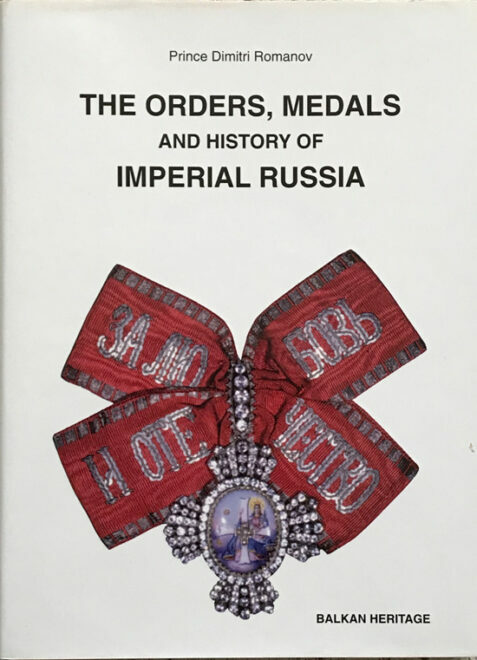 This scarce, specialist publication catalogues and describes in detail the medals and decorations of Imperial Russia. Each award is placed within historical context and significance. The book is illustrated with photographs in both black and white and colour. The dust wrapper is crisp, clean and in fine condition.